We are Manhattan New York Condo specialists, we work with many out of town first time investors and buyers that would like to acquire a Manhattan New York condo as part of their investment portfolio. Consult with a reputable lender or mortgage consultant to see how much can you finance in today’s market. In today’s market, lending guidelines are changing by the day, it is in your best interest to see what will it take to qualify for a loan. Do speak to your banker if you have money in bonds and money market. Find out how many days will it take to liquidate your funds so you know once we have a verbally accepted offer. Often in Manhattan New York market place, the seller seeks 10% of the sales price as downpayment at the time of signing contract. With that being said, if you are buying $1M Manhattan condo, you will need $100,000. at contract signing. Do your homework on finding an Real Estate agent to work with. What is it that you are looking to buy? You want to find an agent that is familiar with the product that you are interest in buying. We are very well versed in Manhattan New York market, we have sold many Manhattan New York condos to first time home buyer, first time investors, foreign internationals, parents buying for children and many serious and motivated buyers. A Condo or Co-Op? Uptown or Downtown? 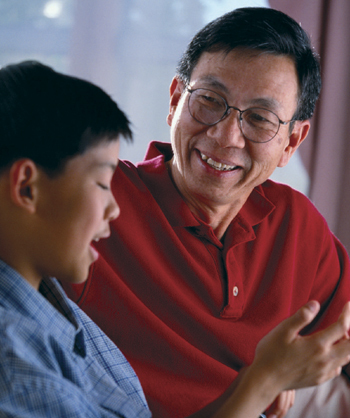 Do you speak specific language that you preferred the agent speaks your mother tongue? Do you need an agent that work specifically with foreigners? Go on a search engine such as Google, try type in what you are looking for, and see if any agent shows up on the search result. Do speak to an accountant to see if you need to structure the purchase in a specific way to enjoy the tax deductible benefits of buying a Manhattan Real Estate. If you are a first time home buyer, is it beneficial to co-purchase the condo unit with your parents or alone; If you are an foreigner, is it better to buy it under your own name or start an LLC? ; If you are an out of town investor, is this purchase going to be an investment property or? Do have a Manhattan New York Real Estate attorney ready. Manhattan Real Estate transaction requires each buyer and seller to have an attorney representing them in drafting and finalizing the contract. A good attorney can save you headachs, money and risks, ask your agent to refer you (3) attorneys so you can call and interview. Explain to the attorney what you are planning to do, and see which attorney you feel most comfortable to work with. If you would like to find out more information or learn about more Manhattan New York investment opportunities, please contact me today. Email us today (http://manhattannycondosforsale.com/contact/) call (646)644-6929. HOW TO MAKE AN OFFER in Manhattan New York Condominium Market? What is Common Charge in Manhattan New York Condominium Market? This entry was posted in Central Park - Upper West Side and tagged Chinese Real Estate Agent, Chinese Speaking Real Estate agent, Foreign buyer, Manhattan Condo Tours on May 13, 2011 by eileenhsu. 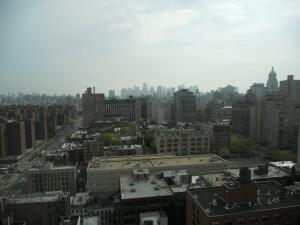 Manhattan NY Condos FAQ: Who can fix my condo if something breaks in my Manhattan NY condo? We are Manhattan New York condo specialists, often we are asked by our buyers of series of questions that are regards to the unique Manhattan New York condo markets. We will be answering these frequent asked questions and hope to help other buyers who are interested in buying or investing in Manhattan New York condominiums. Owning a Manhattan New York condominium is different than owning your own single family house. When you own a Manhattan New York condo, you are an owner of a special community. This community often consist of other condo owner residents, building staff (doorman, porters, handyman and superintendent) and building management. When and if something breaks in the property, you can contact either the building management or superintendent to have a look to see if they can help you fix it. Depending on what the repair will be, if it is minor, the building handyman should be able to help you resolve the issue. Issues such as declog the drain, toilet, faucet, to proper running of hot/cold water, heat and cold air. These are items that the building maintenance staff can help you with, if the building staff can not fix the issue, they usually can and will recommend another specialist (plumber, electrician and etc) that will repair or look after the issue. The condominium community with a maintenance team and support system is most ideal for buyers who has a busy lifestyle or out of town buyers/investors. With a phone call, or email to the management or the condo maintenance department, your toilet or heat can be fix before you get home from work. This is one of the huge benefit in buying in Condominium community. If you or someone you know would like to buy or sell Manhattan New York condominiums, please call us directly today at (646) 644- 6929. We specialize in Manhattan New York condominium market and have experiences selling Manhattan New York condos in different neighborhoods, we offer confidential consultation customize to your specific investment needs. This entry was posted in Manhattan NY Neighborhoods and tagged Chinese Real Estate Agent, Foreign buyer, Manhattan Condo Tours on March 3, 2011 by eileenhsu. BRYANT PARK TOWER located at 100 West 39th Street: DOUBLE PARK VIEWS from this CORNER 38th Floor Condo unit. 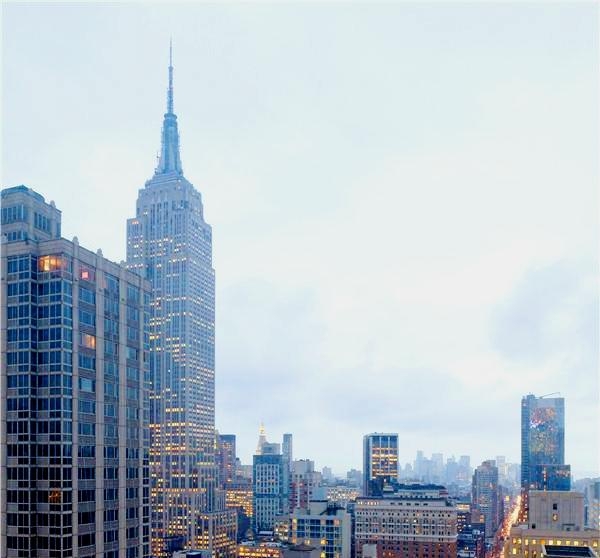 It is Overlooking Empire State building with dramatic Manhattan Skyline views. Bryant Park Tower (100 West 39th Street) has 43-story, mixed-use, it is located on the west blockfront on the Avenue of the Americas between 38th and 39th Streets, was completed in 2006 and has 93 condominium apartments on its top 11 floors. Bryant Park Tower address is 100 West 39th Street, this condo unit has Sparkling, Bright, with Huge OverSized windows, this Sunswept exposure Junior One-Bedroom (alcove studio) Sanctuary features Bamboo Floors, Separate Dining/Office Area, Fabulous Closet Space, Sleek translucent Italian Iceglass doors, Limestone thresholds, and a Dream Kitchen with White Oak cabinetry, White Marble countertops, Lightolier lighting and Never-Used Appliances, all with a Soothing Spa-Like Pristine Bathroom outfitted with an Ivory Porcelain floor, Zuma tub, Heated Mirrors, Italgraniti Ceramic tile! This Top Condo with Doorman, “Quintessentially” concierge service, Free Laundry facilities, fitness room with flat screen TV’s, Parking. Bryant Park Tower, it is located in the Heart of the City…with the N,Q,R,S,W,1,2,3,7,9,B,D,F,V,S,4,5,6 Trains, Grand Central, Port Authority, and Penn Station Steps Away…Fifth Avenue Shopping, the Theatre District, Fabulous Asia de Cuba, Morgans, Fab restaurants and nightlife outside your door. 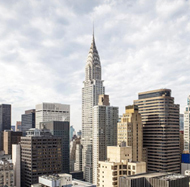 If you are a buyer that is looking to buy in Midtown East or Midtown West location, please contact us today to assist you in negotiating the best price possible. We have several amazing deals and steals for our buyers, we invite to call us and we can have some confidential conversation on your specific needs. Other Manhattan New York Condos blog series that may be interest to you. This entry was posted in Fifth Avenue - Midtown East and tagged 100 West 39th Street, Bryant Park Tower, Foreign buyer, studio on January 18, 2011 by eileenhsu.